Quick takes on the D.C. Booth Fish Hatchery reprieve. It's a gem, well worth operating. Don't know much about its need as a hatchery. I see from SD Game, Fish and Parks data that fishing license numbers over the past twenty years have declined significantly, hitting a peak of around 100,000 in the late '90s to a more current 75,000 in '11. Does that mean D.C. Booth is redundant, considering the demand for stocked fish has declined? I'd love to get an informed opinion from a fisheries expert on the subject. On another level, its economic impact as an attraction, I see that in a joint letter to the U.S. Fish and Wildlife Service, Spearfish Mayor Dana Boke and U.S. Senator Tim Johnson urged continued funding for the Booth Hatchery not because of its need as a hatchery but because of its value to the Spearfish economy. They successfully argued to officials at the U.S. Fish and Wildlife Service that the 150,000 annual visitors to the hatchery add $2.1 million to the Spearfish economy, a number worth considering in the context of Spearfish's 2012 (per the SD Department of Revenue) taxable sales report, which comes in at $374 million. 2 million bucks is 2 million bucks, of course, but in the bigger picture it's definitely something to sneeze at. I'll set aside the Kleenex for now, but you get the idea. My own take goes to a third level. What's with expecting the U.S. Fish and Wildlife Service to subsidize a local tourist attraction? Given the Booth Hatchery's drop-in-the-bucket status as an adornment to Spearfish's economy, I'd think it would be a realistic task to get local investors to step in and find ways to fund it from inside the pockets of those who benefit economically from the facility. Seems to me that the federal government could find other, more pressing, needs to fill with our money, particularly at a local level. Head Start programs that recently got cut might be a great place to start. I can only imagine the size of the laundry list of other, much worthier programs. Looks to me like our political class could rewrite Izaak Walton's classic and re-title it "The Compleat Finagler." Maloula, mon amour. I see rebel forces have just entered it. I fell in love with this ancient city in Syria while visiting there in 2007, during the days when former U.S. Senator James Abourezk (D-SD) was putting together informal tour groups that traveled from Sioux Falls to Damascus in a much-appreciated effort at getting Americans to know Syria and its people a bit better. The trip lasted a little over a week and included extensive overland ventures throughout the country. I saw ancient Roman ruins near Palmyra, spending a good part of that day in a Bedouin encampment nearby. I saw the Israeli-shattered city of Al Quinetra, destroyed by vindictive, departing Israeli troops who were withdrawing per the agreement that ended the Yom Kippur War of 1973. I saw a high-rise Palestinian refugee community in Damascus, plastered with outsized pictures of Yassir Arafat. I saw the Golan frontier, policed by uniformed United Nations troops. These were Sikhs from India, turbaned, and sporting neatly trimmed beards, all of them speaking perfect, non-idiomatic English as they patrolled the neutral zone. And I saw Maloula. It's one of a handful of villages where Aramaic, the language spoken during the New Testament, is still the common tongue. That everyone also seems to speak English is par for the course nowadays, but Aramaic is still the language of the streets and signs. One of my traveling companions and I had broken away from the main group and cadged a ride in Damascus to this place, which we entered at the spot where a sturdy, brick church that was built during the 3rd century dominates the town. We entered the structure with some natural trepidation, but once we got into an enclosed courtyard all seemed okay. A few nuns were going about some business, nodding at us as we passed. Then we saw a priest, THE priest from what I eventually gathered, and engaged him in a very easygoing all-English conversation. Educated in Egypt, his English was flawless. I won't use his name because what goes around the internet may well come around, not to me, but to him. I've wondered lately if the Greek Catholic (that was the denomination of the church in Maloula) priest who was publicly beheaded a few weeks ago north of Maloula by a rebel faction that obviously has it in for Christians might have been the same cleric. I have no way of knowing. I grieve for the lost soul, whoever it was, not just because of the situation but because the man I met in the church in Maloula was so gentle, as curious about us as we were about him. Probably sensing our hesitation, he abruptly ended a lull in the conversation to invite us into the sanctuary, a beautifully adorned enclosure filled with icons, some encrusted with precious stones and metal, some just plain wood or cloth, many of them dating back to the early years of Christianity. We sat in the front pew while he stared at us with a steady, if slightly bemused, gaze, reciting the Lord's Prayer in Aramaic, then using the same language to preach a brief sermon. The content of the sermon will forever remain unknown. So will the disposition of the priest, those nuns, that church now that rebel forces, some of them virulently anti-Christian, have occupied a simple, unassuming little town where the inhabitants have lived a life, spoken a tongue, that have a heritage whose timeline includes the passage of those who founded Christianity. One need not embrace the spirituality of the place or the events that transpired there to know that a precious place is now on the cusp of its final catastrophe. Whither Maloula? Maybe something in that unknown sermon had a clue. I wish the Steve Jarding drumbeat that's developing among Democrats in South Dakota would switch over from a "please run for something in '14, Steve" to a more defined urge, namely, "please run for the House of Representatives, Steve." Jarding is the South Dakota native (who still has his home in the state) who teaches Public Policy at Harvard University's Kennedy School. He was instrumental in Senator Jim Webb's come-from-behind Senatorial victory in Virginia a few years back and no doubt has a well-developed network of political friends and contacts on a national scale. He's dynamic, articulate and exceedingly bright. I'd support him in a heartbeat if he decides to run for Congress. But for governor? Not so fast. The incipient "campaign" to get him running has a well-developed presence and seems to be intent on getting Jarding some name-recognition through the social media, including Youtube videos that highlight his dynamo-like presence, which is indeed impressive. 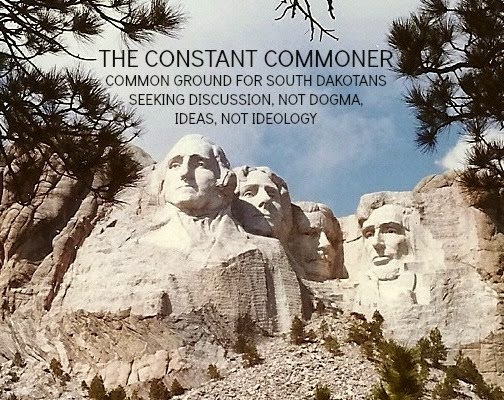 He'd make a great advocate for South Dakota as the state's sole representative among 500+ counterparts that crowd the chamber, given his loud, brash, articulate and brilliant persona, all of which will work in tandem with a national reputation both within and without his party. But those qualities and background that I think would make him a good, possibly great, U.S. Rep aren't the same as the personal style that would work in an executive role like Governor of South Dakota. That job takes persuasion and political finesse, requiring a didactic, not a declaratory, approach. More to the political point, Jarding's incumbent opponent, Republican Governor Dennis Daugaard, will be difficult to unseat for the usual built-in political reasons that SD Republicans have always had to their advantage (mainly a sizable registration edge, around 6%). In 2010 Daugaard beat his Democratic opponent by a 61-38 margin. No doubt some of Daugaard's decisions, particularly the one to decline Obamacare's Medicaid expansion, will swing some support away from him, but given the overall state of South Dakota's economy, which by almost every measure is in much better shape than that of the nation, I doubt that compelling numbers of voters will have much incentive to toss him out of office. Fact is, though I disagree with Daugaard on the Medicaid issue and some of the school funding and management issues, I'll support him for re-election. Steve Jarding should play to his strengths and give South Dakota that powerful persona of his in the place where it can do some serious good, the U.S. House of Representatives. I wish Kristi Noem could give a straight answer on financial reform. U.S. Representative Noem (R-SD) was at a town hall meeting in Mitchell, SD, a couple of weeks ago, and when pressed about why she wouldn't support reinstating a Depression-era law (Glass-Steagall) that keeps brokers and bankers from working together under the same corporate umbrella, she glibly said (per the Mitchell Daily Republic), "We need reforms different from Glass-Steagall. I don't think it's the legislation we need to reform our financial industry right now." I call her answer "glib" because when pressed as to what she thinks the answer is, per the MDR again, "Noem didn't elaborate and moved on to other questions." This is ridiculous and it makes me wonder if Noem even understands that at the core of the financial collapse that occurred a few years back was the easy lending that took place because bankers were all too willing to make shaky loans to customers solicited by their associates at their firms' brokerage divisions. It was easy money all the way around, with the brokers reaping hefty commissions from the funds loaned out by bankers who made their money from origination and other fees. Very cozy stuff, and just the same dynamic that occurred in the 1920s, leading up to the crash of '29, only difference being it was stocks, not real estate, that collapsed back then. The 1929 fiasco led to a sweeping reform of the financial services industry known as the Glass-Steagall Act, which remained in place until the late 1990s, when President Clinton signed a measure essentially repealing it, setting the stage for the replay that continues to bedevil the American economy. That Noem continues to reject Glass-Steagall's reinstatement is, first off, a rejection of the South Dakota Legislature's 2013 resolution calling for just such a reinstatement, and a rather baffling blow-off of her constituents, considering that she won't suggest what she believes to be "reforms different from Glass-Steagall." I don't know about you, but as her constituent, I'd like to know what reforms Noem has in mind for solving the problem of conflicting interests between bankers and brokers. The only solution I can think of is regulating the conflict out of existence. I'd love to know what Noem thinks can be done about it. We're a little more prosaic and a lot more public issues-oriented. Mainly these are issues that affect South Dakotans, either from within the state or from outside if bigger policy issues will have some real effect on South Dakotans. My first order of business is the impasse over the Farm Bill in Congress. A large number of Republicans want to strip the bill's food stamp component (accounting for about 80% of the bill's cost) and consider that as a separate item. That makes a certain amount of sense. Food stamps can be seen as a social welfare program within a much larger circle of entitlements that go to lower-income groups. But there's another way to look at food stamps, and that's from a perspective of how they affect the agricultural sector in this country. By making food cheaper and more readily accessible, they increase demand for the products that constitute the lion's share of South Dakota's economy. My take is that the food stamp program merits plenty of scrutiny from overseers like the Congressional Budget Office and General Accounting Office and should be tightened up as necessary, but making it a separate item in the overall budget will only politicize the issue and each time it comes up for re-authorization the political footballs will fly, creating much uncertainly within the agricultural production communities in this country.